Author Avirook Sen recalls the perils of being in Ghaziabad. A sense of resigned chaos reigns over the Ghaziabad courts and violence is routine. Did Judge Shyam Lal allow Bharti Mandal’s unreliable testimony to go unquestioned? Why is the question of whether Bharti Mandal could enter the house on the morning of the murders, so important to the trial? Just who wrote Shyam Lal's judgement? A floral excerpt from the absurd judgement. Vandana Talwar explains why she continues to defend Aarushi's parents. 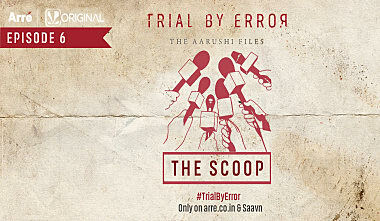 Who were the key characters in the Aarushi double murder? What did the scene of crime look like?